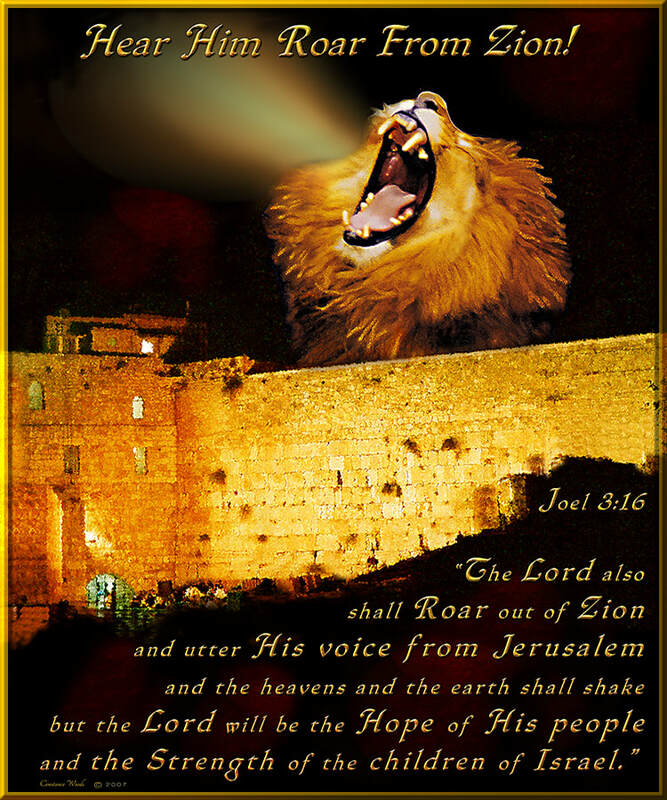 "The Lord also will roar from Zion, and utter His voice from Jerusalem; the heavens and the earth will shake. But the Lord will be the hope of His people and the strength of the children of Israel. So you shall know that I am the Lord your God, dwelling in Zion, My holy mountain. Then Jerusalem shall be holy." This image began with a night view photo I took of Jerusalem's Western Wall. When I was reading the scripture from Joel this image began forming in my spirit. My personal photography is brought into Photoshop for layering and editing. Then it goes into Corel Painter to digitally paint. Holy Spirit leads each step.